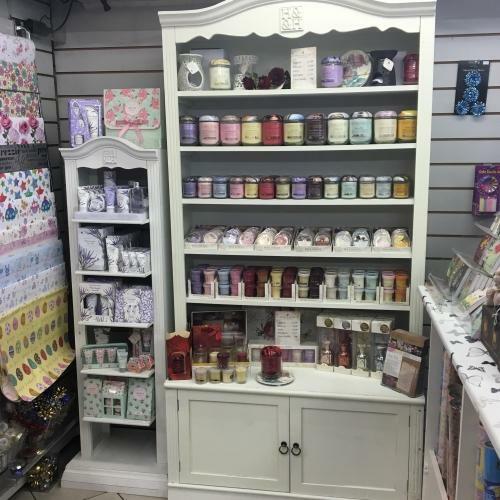 We have expanded on our popular candle range from Heart & Home with a new display unit and lots of new stock. 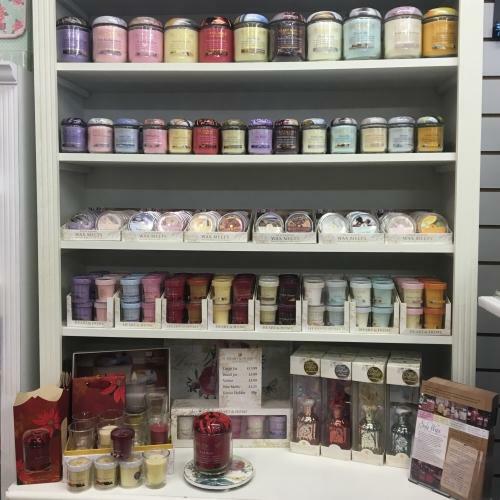 We have a much larger selection of jar candles at £5.99 for the small size and £13.99 for the large and votives which are a bargain at £1.99 each. 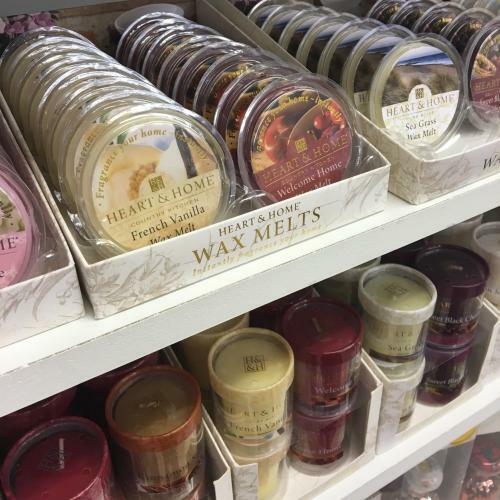 New to the range for us we now have Wax Melt Burners along with a great mix of wax melts in a variety of delicious flavours at a delicious price! 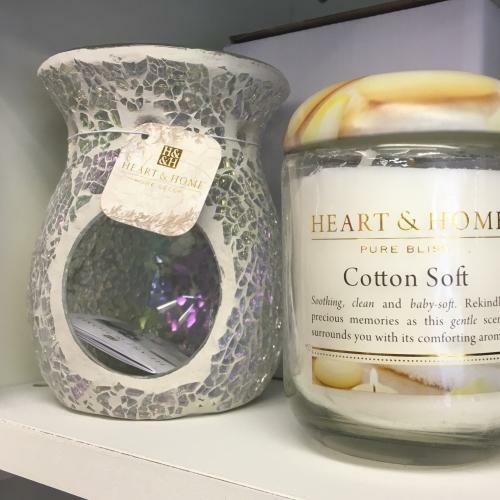 Only £1.25 per melt and burners ranging from £9.99 to £14.99. Also new in we have reed diffusers in 4 great scents. These are already proving popular with customers, a perfect excuse to come and visit us here in Bakewell.